This post was authored by Mark-Ameen Johnson, Adjunct Assistant Professor, American Language Institute, School of Professional Studies. and so much more? I sat spellbound in class this morning as my international students gave rich PowerPoint presentations even as they struggled with English grammar. While I would love to take credit for the amazing series of lessons that culminated in these capstone presentations, they were as actually the brainchild of NYU University Archivist Janet Bunde. I had originally contacted her in hopes of using vintage NYU photos on the American Language Institute’s (ALI’s) Instagram account. 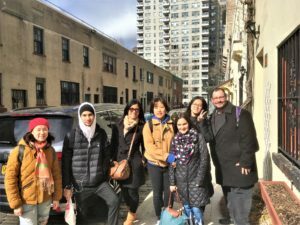 A joy to talk to and as enamored of New York City history as I, Janet quickly convinced me to bring a class of ALI students to the archives and have them do a small project. If it worked (and it did! ), we would then discuss additional classes and more detailed projects in future semesters. 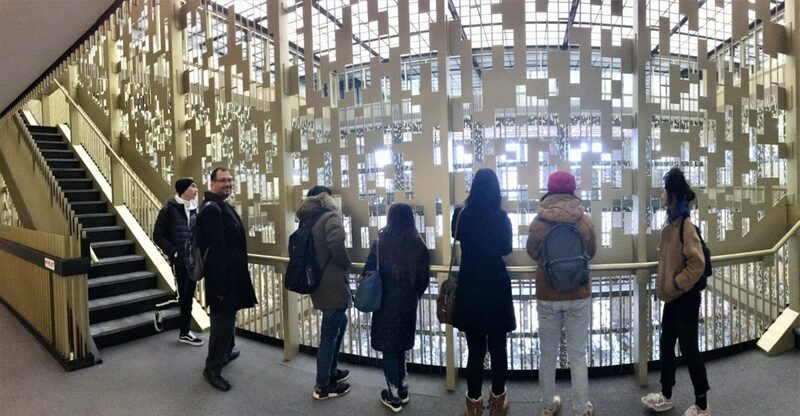 Fascination reigned as students walked around the reading room’s exhibition, then focused on the library of Juan Carlos Aponte, a 19th century Cuban carpenter, artist, and soldier. My Spanish speakers were delighted to find primary sources in Spanish on display; my Chinese speakers were shocked to discover that Cuba had once had Chinese slaves. With help from Janet and me—although they did not need much—students compared and discussed the pictures, looking at them as historians to glean whatever information they could. After a long and lively discussion as a class once group work ended, we visited and photographed the buildings in their current incarnations. In addition to their regular classwork, each group had a few weeks to do a little research in English on its building (Moan! Groan! No native language work allowed!) in order to prepare presentations plus some simple writing. I led up to this by reworking many lessons as models for this type of work. We had started the semester with picture descriptions that encouraged students to envision the world with cultural perspective, an eye for detail, clock directions (“The woman is sitting at two o’clock”), imagined stories about people in photos, and so on. and much more. They were surprised that so much of this rich history had not been part of history courses and was unknown even to many Americans. We further focused on the strange and bizarre. 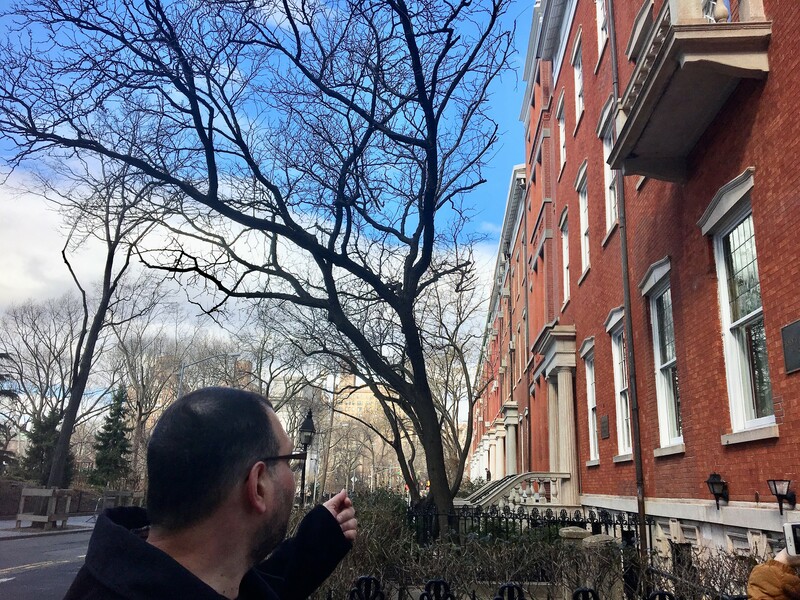 Later on, we took an interactive walking tour of Greenwich Village beginning at Cooper Square and McSorley’s and ending at the statue of Fiorello LaGuardia. The Washington Mews in particular led to gasps, with every student whipping out a phone in unison to photograph this place they said could not possibly be in Manhattan. 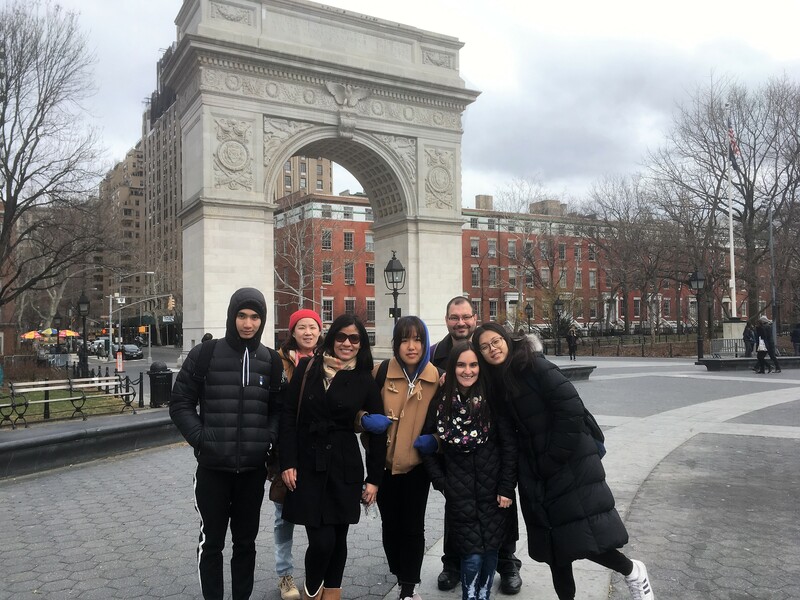 By the time we met Janet Bunde at the Astor Place Starbucks and went to Bobst Library with her, my students were open to what she was about to teach, ready to be absorbed in a newfound love for history and culture. Mind you, months earlier a number of them had confessed to not reading for pleasure or finding history interesting. It was a win-win situation all around. 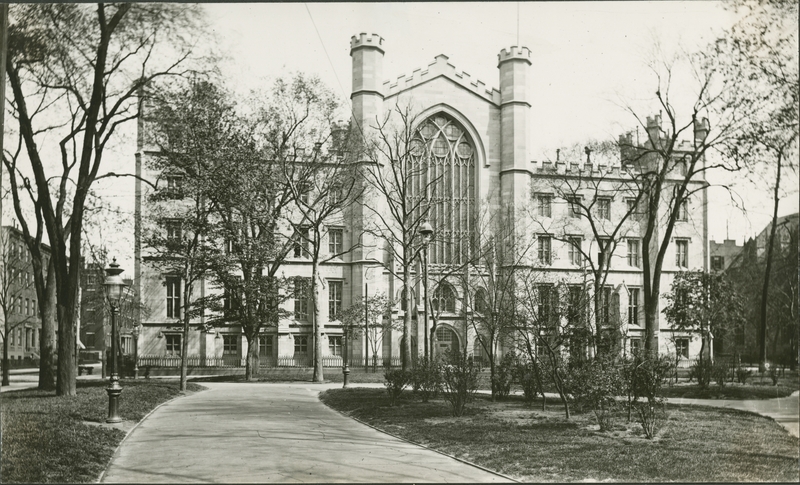 It was an educational moment and a New York moment made possible by the New York University Archives. 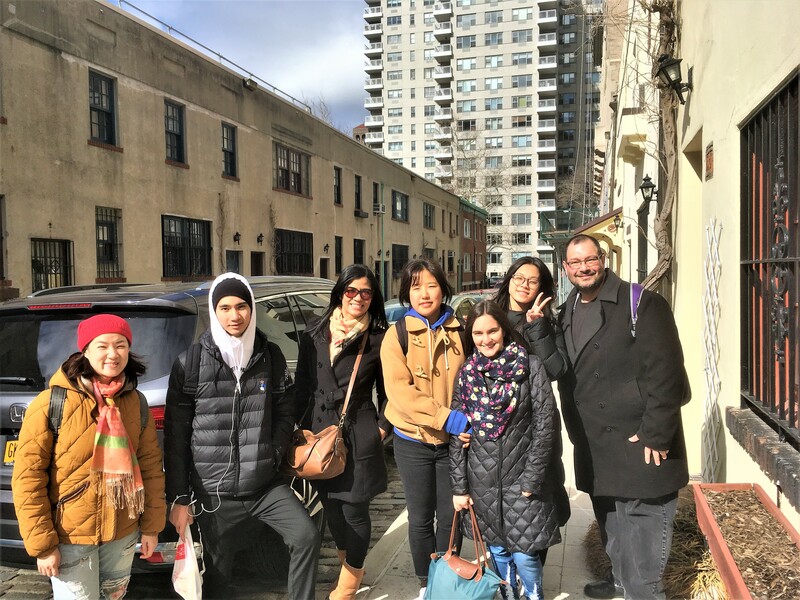 What a fantastic project – great for international students AND American-born as well.